The farthing had just stopping being legal tender, Government minister John Profumo was whispering sweet nothings in Christine Keeler’s ear and Elvis Presley was crooning “Are You Lonesome Tonight?” when Barbara Thompson started her new job in Hull. 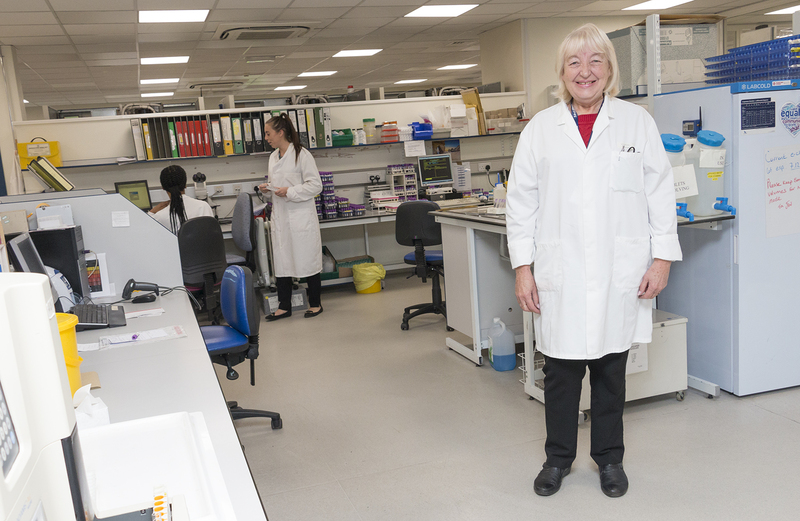 Now, after an NHS career lasting 56 years and 10 months, biomedical scientist Barbara Thompson, 75, is finally hanging up her lab coat to retire from Hull University Teaching Hospitals NHS Trust. Barbara always imagined she’d become a teacher while she was a pupil at Thorsby School. However, she changed her mind when a histologist studying the microscopic structure of tissue came into her father’s corner shop in Wright Street carrying a case packed with slides. She applied for a pathology job in Hull but there were no vacancies. However, she was told to keep an eye on the Hull Daily Mail’s public appointments for the next suitable job. Working in the lab at Caper Pass six months later, she spotted a job advert for the pathology department, then based at Kingston General, took a chance and landed a new career. Despite high hopes, her first day as a medical laboratory assistant in January 1961 was a let-down. “I was bored out of my mind,” Barbara said. “There were no computers and all reports were paper forms which the secretaries would type up before they were filed in alphabetical order. But her career picked up and she worked her way through the ranks and different roles in haematology to her current position as a grade six biomedical scientist specialising in abnormal haemoglobin. Barbara originally ‘retired’ in 2002 at the age of 60 although, in reality, she still worked at the trust three days a week. 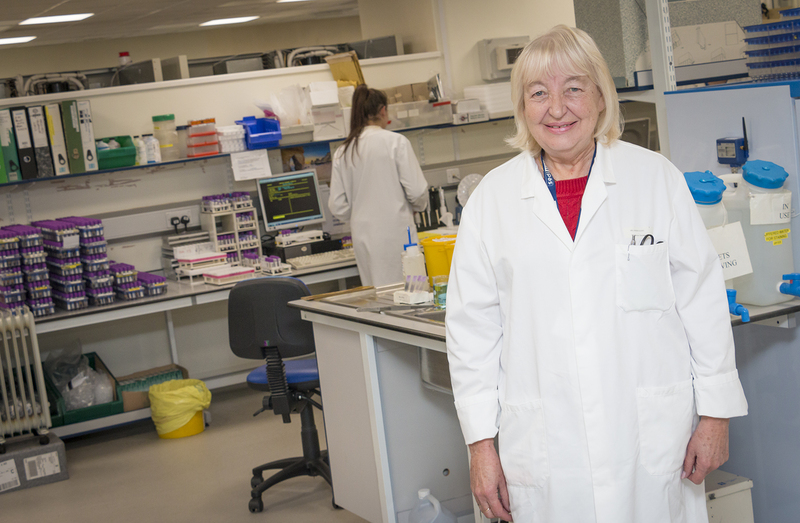 She has seen major scientific advances in pathology, where the team, now based at Hull Royal Infirmary, play a major role in patient care, diagnosing major illnesses, infections and diseases which allow doctors to begin life-saving treatment. She remembers less stringent working conditions, with scientists balancing their ashtrays alongside microscopes on polished wooden benches and test tubes, slides and pipettes all washed and reused. Barbara, who has grandchildren and three great grandchildren, is planning a holiday to Spain in January to mark the start of her retirement, cheered on by her four children. “I’m looking forward to it but I will miss my job,” she said. “I just think I’ve been really lucky because I’ve had a career that I’ve loved all this time. Chief biomedical scientist Jenny Williams paid tribute to Barbara’s years of dedication and public service to the NHS. “She is fantastic,” she said. “Barbara is really committed and passionate about her job and you can tell.